Already a manufacturer of high quality pruning and cutting tools, Bahco has developed a new generation of snips for harvesting grapes. 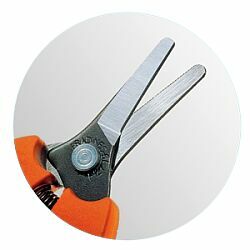 All the snips are robust, lightweight and comfortable to use over long periods. The handles, made from glass fibre reinforced plastic, are shaped to fit the contours of the hand. 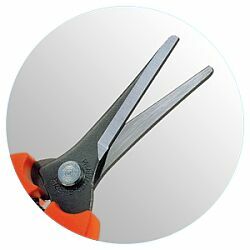 The snips have been extensively tested in their respective applications. The P127 can be used for harvesting grapes, as well as florist work. The P127 snip has a short, robust blade with a serrated counterblade to avoid slipping. Blade opening limited to 20mm. The P128 can be used for harvesting, as well as thinning out fruit for better growth. 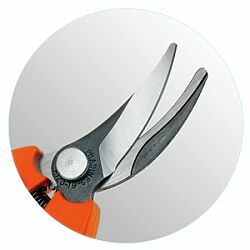 The P128 snip has a long and fine cutting head with an opening of 34mm. The P123 has a long and fine bypass cutting head for harvesting grapes. The counter blade has a sap groove so that dirt and sap are wiped away after each cut. The cutting blade opens to 39mm. The blades of all models are made from hardened, stamped steel to give a clean, efficient cut. The ergonomic handles incorporate shock absorbing rubber buffers and the spring and buffer are replaceable.